As a result of Anwar Sadat’s growing authoritarianism and treatment of his opposition, tensions in Egypt began rising shortly after the Camp David Accords were signed. Regular Egyptians were unsatisfied with the treaty’s results in addition to the state of the economy. 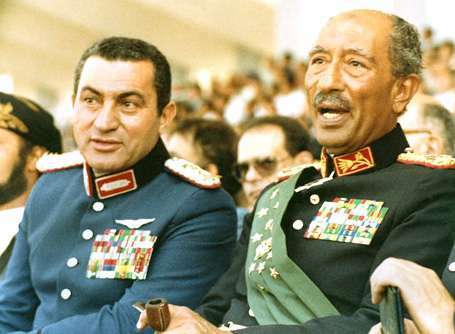 His own security people had become increasingly concerned, as Sadat did not like to be told that he had to be on his guard or take safety precautions, and there had been plots against him. Sadat continually made his circle of advisors smaller, and there was no clear way to solve the tension. On October 6th, 1981, just three years after signing the Camp David Accords, Sadat was assassinated. Ambassador Alfred Leroy Atherton, Jr. was in the reviewing stands with Sadat that day and recounts the assassination, its aftermath, and dealing with one of the highest-ranking delegations the U.S. has ever sent abroad. Read Part I about the growing disenchantment with Sadat. 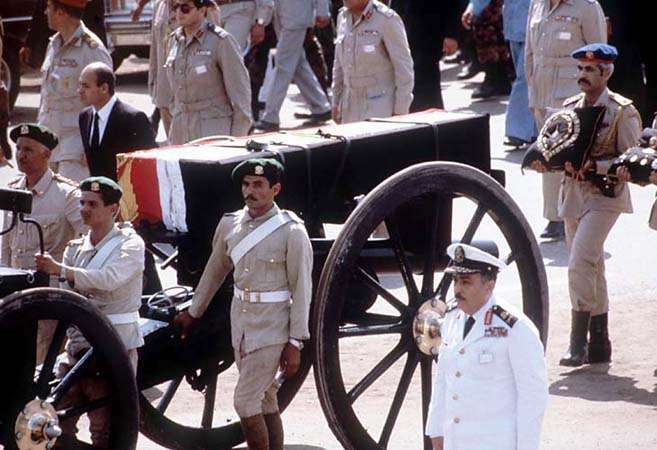 ATHERTON: There was increasing tension but no sign of how it was going to be resolved, until it was suddenly resolved by an assassin’s bullet at the October 6 parade, 1981, celebrating the October 1973 War, which Egypt had always celebrated as their victory. It was an occasion for a very large military parade. Each year all of the latest Egyptian military equipment, most of which was of American origin, passed by the reviewing stand in view of the public and dignitaries. There were flybys by airplanes, including acrobatic flights, all of which was viewed from the reviewing stand by visiting dignitaries from other countries, the diplomatic corps and military attachés. It was a big parade celebrating the crossing of the canal against the Israelis on October 6, 1973. There was some sense of foreboding in the atmosphere. There had been an authenticated aborted attempt to assassinate Sadat once before that. So one worried a bit. But because this was a military parade, it was controlled by the military and security was in the hands of the military. Our area was a secure area that people couldn’t get into without credentials being checked. It was assumed that nothing could happen here. I was there in the reviewing stand where the diplomatic corps sat. I was sitting with the British and Canadian ambassadors not too far from the Israeli ambassador plus the visiting delegations that happened to be in Cairo, including one, I think either Chinese or North Korean delegation that was further back in the reviewing stands. And in the center up front were Sadat and his cabinet and senior officers and other distinguished guests. I was behind them in the tiered reviewing stands. On the right were the diplomatic corps and the visiting delegations. On the left was the attaché corps and visiting military dignitaries. We had two senior American generals in town at the time, who were guests of the military. They were sitting down in the front section along with the vice president and all of the religious dignitaries; so our two generals were down in the area just a few rows behind Sadat. Their military aides were sitting with our defense attachés. The parade went on and on and on, with occasional disruptions. A vehicle would break down occasionally and had to be hand maneuvered out of the way. There was one live demonstration of paratroopers who made a precision drop and came down in circles that were drawn on the ground in front of the reviewing stand. They came up and saluted the president. There were flybys, and I did have one chilling moment, because in one of the very low flyovers, the planes came straight at the reviewing stand, then at the last minute pulled up. And I suddenly found myself thinking, “You know, what if somebody really wanted to wipe out the president, his whole government, and anybody else, if they had that mission and decided to do it, we would be perfect targets…” Anyway that went on, and we all watched them fly away. Near the end of the parade, along came the heavy artillery with their crews sitting in the back of the trucks pulling the heavy guns. One of them stopped in front of the reviewing stand. The crew scrambled out. Our assumption, and it was certainly Sadat’s assumption, was that this was going to be another one of these salutes for the president, as the paratroopers had been. The president stood up to take the salute. We all were watching. And at that moment, suddenly hand grenades were thrown and automatic weapons were being fired. Clearly this was an assassination attempt at Sadat. I didn’t witness anything else, because, along with all of my colleagues, I was down, hugging the ground as fast and as far as I could. But there was a lot of shooting, and you could hear the shots. I could hear occasional bullets whizzing by. It was just luck who got hit and who didn’t. A number of people in the diplomatic reviewing stands did get hit. They were after Sadat, certainly, but they were firing at random to keep down any potential counter-fire from the security forces that might have protected us. As it turned out nobody did, because Sadat’s own security had let their guard down, thinking that this was something that the military was in charge of and therefore they didn’t have to worry. Anyway, it was total chaos. When the firing stopped we all stood up and looked down at the front. There was a jumble of chairs upside down. They had already carried Sadat out and gotten into a helicopter that was standing by, and we heard the helicopter leave. With all that training as a political officer I immediately began seeing who was there, comparing notes. . . Is that Mubarak? Is that the minister of defense? Who isn’t there? Who’s been hit? Where’s Sadat? Sadat was nowhere to be seen. But we did try to get some impression of what the damage had been. We only learned sometime later that there had been 8 people killed in addition to Sadat and some 30 people had been wounded — some diplomats, the Belgian ambassador, the Australian commercial officer, and one member of the Chinese or Korean delegation whom I remember seeing as I was leaving. He had been hit in his wrist, bone shattered — his hand sort of dangled. It was a pretty bloody scene. The assassins ran out of bullets, and they had no escape plan. I guess they expected to be killed in the process. They were all captured, and eventually they were tried, and several of them were executed. It was ascertained that this was an Islamic fundamentalist cell led by an officer in the army that had infiltrated the military, got military uniforms and used forged papers and substituted them for the crew of this artillery prime mover. This was that it was not in the main stream of the Muslim Brotherhood but was a spin-off, a group dedicated to violent overthrow and to establish Islamic rule in the country. To them Sadat had become the personification of evil, because he had made peace with Israel, because of his lifestyle, because he was seen as anti-Islamic. He had done all the things that the Islamic fundamentalists disapproved of. The remarkable thing wasn’t that the attempt took place, I suppose, as much as it was that this proved not to be a grassroots group; they didn’t begin a ground swell of revolution of opposition to the regime. Even the disaffected didn’t want this kind of violence for the most part. And so they didn’t represent the mainstream of the Islamic movement. They didn’t represent the mainstream of the Muslim Brotherhood, which had decided to operate within the law. In any case, there was utter confusion. It wasn’t quite clear whether Sadat had been killed or whether he had been wounded. We saw the vice president with a small bandage, so obviously he was all right. The minister of defense had gotten a superficial wound, but he was all right too. Probably the reasons not more of the leaders had been killed were twofold. First, the very first opening move was the throwing of a hand grenade. I was told later by the minister of defense it had bounced off his head. But the grenade didn’t go off. And there was one man whose job it was to kill Sadat. We’ve seen some of the pictures of this. 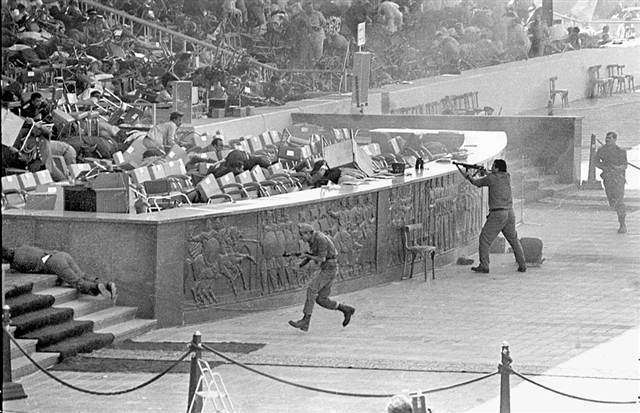 He was up, actually up, aiming the gun down, because Sadat by that time had fallen to the ground. Others were simply providing covering fire for the man whose job it was to kill Sadat. They were not targeting other individuals, but they weren’t trying to avoid killing other people — and they did kill other people. But the target was clearly Sadat. By that time I was being urged by my security detail to get away. Somebody had organized the diplomatic cars, which had been parked out behind the reviewing stand, and gotten them into some kind of order. I went and found my car and driver, and we headed back to the embassy. I had a radio in the car… so I was able to get on the radio as soon as I got in the car and called the embassy and talked to the DCM [Deputy Chief of Mission], Henry Precht, who was at the Embassy. I knew my wife was going to be watching the parade on television at the embassy. She had turned down an invitation to sit in the ladies’ reviewing stand with Mrs. Sadat, up behind where the president and all of us were. She was watching this at the embassy; so I said, “Please tell Betty I’m all right. Tell everybody I’m on my way back”. I told Henry it looks here as though it was a single assassination attempt. We couldn’t tell at the time whether there was a follow-up plan or whether there was going to be an attempt to take over the usual targets: military headquarters, television stations, and so forth. So he’d better get a team and get people scattered around to do as much reconnaissance as possible. Well, Henry had already started doing these things. I learned later from Betty what went on at the embassy while they were watching the parade on television. Suddenly the screen went crazy, and it was clear that the cameras were pointing in the air and in all directions. Henry just said right away, “Something’s happened.” He got on the phone and opened a line to the operations center in Washington and said, “I don’t know what’s happening, but clearly something is happening that is very serious…keep the line open, and we will report to you as soon as we get some facts.” So we were able to get to Washington pretty early and report that there had been an assassination attempt. I was all right. I didn’t know yet whether the president was alive. There were others who saw some bodies down there, but they weren’t the president’s. The senior bishop of the Coptic Church was killed. Then we had to worry, are all the Americans accounted for? By the time I got back to the Embassy the two general officers had arrived. They had been down in the reviewing area but had escaped any of the bullets. They were worried about their aides, who had been sitting in the reviewing stand. Well, we had to find out what had happened to the military aides; we had to establish a task force; we had to get word out to the American community; set up an information center to answer the inevitable questions. Our initial reporting was that it looked like an isolated event, no indication that there would be a follow-up or trouble anywhere else. The Egyptian radio and TV were showing films at that point, and playing light music and no news at all was coming over. We assumed that meant that everyone in the government was getting themselves together to try to take stock of what had happened and let everybody know who was in charge. 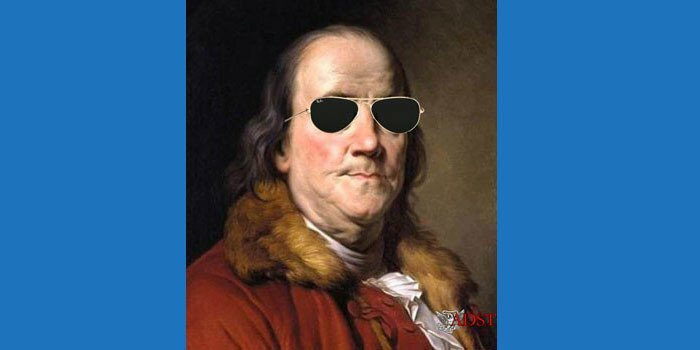 Then, the most bizarre phone call was one from the minister of defense, Field Marshal Abu Ghazalla, who had been the military attaché in Washington and was considered very much a friend of the Americans, one of the strong advocates of U.S. military cooperation. He phoned me and said, “I just want to let you know that everything is under control in the country, the government is meeting, and the president has been seriously wounded but it is not life threatening.” I had no choice but to accept that until we had evidence to the contrary. And at that point I had a telephone call from former President Carter. He wanted to know what had happened to his friend Sadat. And I said, “All I can tell you is that there has been a serious attempt on his life. He certainly had to have been seriously wounded by all of the fire, but I have just been told by the minister of defense that he wasn’t killed.” This is in Carter’s book, that he had been reassured by my report. There was a period of almost seven hours, between the time of the assassination attempt and the time the Egyptian government announced the death of the president, when we were still in doubt. We kept getting urgent requests from the American press corps to confirm that the president had been killed. And I said, “I can’t. We are waiting for the Egyptian government to announce it. I can’t announce it.” I got a certain amount of criticism in fact, from the press corps, that we were behind the power curve on this. The CBS correspondent, a woman correspondent whose name I’ve forgotten, was the first to go on the air and announce that the president had been killed. And, of course, we were asked to confirm it. And my response was that it was not up to the American ambassador or the American government to announce the death of the president of Egypt. It was up to the Egyptian government. I later learned that she (the correspondent) was outside the military hospital in Maadi, where the helicopter had taken Sadat, and had taken Mrs. Sadat too. The correspondent had gotten hold of a doctor coming out of the hospital, one of the surgeons or an assistant. She had said “What about the president?” And he had said “He’s dead.” And so she went on the air and announced it. But it was not official. We told Washington not to confirm it, but that they should be prepared. And then the radio and the TV began to play and chant verses from the Koran. I tried to call the family; I tried to call the foreign minister, and I tried to call various other people in the government. I kept being told that they were all at a meeting. And, of course, they were. They were having a meeting at senior level of government to make sure that authority was maintained. 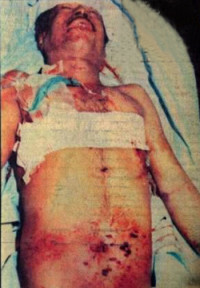 The radio came on and announced that Sadat had been killed, that the government was intact, order would be maintained. Everyone should remain calm. So we had our confirmation – about seven hours after he had been killed. Mubarak announced that the constitutional procedure would be followed. Under the constitution that was then in force, the vice president was not an elected official. The president was elected by the parliament and then confirmed by a general referendum. The president in turn appoints the vice president. He is not elected, and he does not automatically succeed to the presidency. The speaker of the People’s Assembly becomes the president ad interim. So a very senior, amiable, professional politician, Sufi Abu Jalah, who was speaker of the Parliament, became president of Egypt through that interim period, after which parliament would elect a new president. Well, I did get a phone call soon thereafter from if I remember correctly Kamal Hassan Ali, an old friend, who was one of those loyal, intelligent, able servants of the state. He had been named by Sadat to head the Egyptian delegation to the peace treaty negotiations in Washington after Camp David. At this point he was foreign minister. He did finally get to me. He was the first senior Egyptian I was able to talk to, as I recall. Kamal Hassan Ali confirmed that everything was under control. There had been some uprisings in Upper Egypt where there were attacks on police stations by Islamic fundamentalists. It was not at all clear that they were coordinated or whether they were spontaneous attempts to take advantage of the situation. And there was some unrest in some parts of Cairo, but very local and very quickly contained. And the government functioned as the constitution provided. 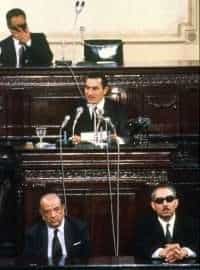 The establishment rallied round and announced that all the members of the government, and the government party in Parliament, the Peoples’ Assembly supported President Sadat’s choice of Mubarak, and therefore he was the only candidate when the Parliament voted to elect a new president. Unlike when Nasser died, when there was a power struggle and it took several months for Sadat to emerge on top as the ruler of Egypt. Mubarak, upon whom Sadat had laid hands, was chosen without opposition. The whole mood in the country then, and even of those who had been basically opposed or were becoming increasingly disenchanted with Sadat, was that we don’t want unrest in this country. We want an orderly transfer. I’d like to just add a footnote to what I said in the last segment about the Sadat assassination. I mentioned that two very senior American generals were there as guests, and the guests were sitting up behind Sadat, and both of them escaped somehow unscathed from the hail of bullets. What I forgot to mention was that each of them had a military aide. And the aides were sitting in the military part of the reviewing stand. Both aides were hit. Neither one fatally, but they both had rather severe bone injuries, from bullets which were flying around at random. We did not know where they had been taken. The Egyptian medics were very quick, and I give them full credit for being on the spot and taking all the wounded that they could find, and there were quite a few, there were thirty or more injured in various degrees of severity, Egyptian and foreign. It took quite awhile to finally locate them at the hospital where they had been taken. The concluding chapter was that they were given absolutely first-rate attention by Egyptian orthopedic surgeons. When they were finally medevaced back to US military facilities in Europe, the American medical people were full of praise for the surgical treatment they had had, which really probably made their recovery–not easy, because they had severe problems — but less complicated than it otherwise would have been. President Reagan announced that he was going to send a very special, high-powered delegation to Sadat’s funeral, in honor of our high respect for Sadat. The delegation consisted of three former presidents — Nixon, Ford, and Carter; a former secretary of state, Henry Kissinger; a large congressional contingent, the chairmen of both Senate and House Foreign Affairs, Foreign Relations Committees, minority members; a large press delegation… and also the chief of protocol, Leonore Annenberg, and Jeane Kirkpatrick were there, our representative to the United Nations. So it was a very top-heavy delegation. It was a very strange kind of a funeral. In fact, it was a strange kind of mourning period. There was no outpouring of popular grief after Sadat’s assassination. The city was very strangely muted; the country was strange. There were some outbreaks of violence, some local incidents and instability, anti-government, to build on the Sadat assassination in some parts of Cairo and in some parts of Upper Egypt, none of which was difficult to contain, although there were some casualties in the process. When Nasser died, there were mobs in the streets and tremendous demonstrations of public grief throughout the whole Arab world, and certainly in Cairo. It was well documented on television that it was really out of control at the time of Nasser’s death. There was none of that. Now one explanation was that the Egyptian authorities were concerned that Sadat had died in a totally different way than Nasser. Nasser had had a heart attack and had died and had left an obvious vacuum. Sadat was assassinated, and the government wasn’t sure whether it was going to be the beginning of a chain reaction of events, and therefore there was more security and the people were intimidated. But I think the more likely explanation was that in fact Sadat’s popular base had badly eroded by that time. There was a feeling on the part of many people that Sadat, in those last months, overreacted to signs of opposition, expressions of opposition from disparate groups concerned about the economic situation about reports of growing corruption, or about the fact that the peace process had bogged down, had not brought the promised economic miracle, and Egypt was isolated. But, in any case, Sadat had begun to crack down and reverted to some more authoritarian methods, and some of the freedoms that had been given for public expressions of dissent were really being reversed. So there was no great popular outpouring of grief at Sadat’s death. You might almost say some people found it a relief. It relieved tensions. They didn’t know quite where Sadat would go next, where the country would go next. They had a foreboding that there was internal tension building up, and there was conflict among different elements of the population. They were isolated in the Arab world. There was just a sense of public malaise in those last weeks of Sadat’s regime. Not that the people who felt this way advocated a violent solution. Most of them were appalled. I think most Egyptians did not think that this was the Egyptian way to solve their problems. They genuinely wanted to see stability maintained. There was very little attempt to exploit the situation and destabilize the transition to a new government. The speaker of the People’s Assembly became acting president under the constitution until the Parliament could vote and elect a new president. The president was elected by the People’s Assembly and not by popular vote, although there was a referendum afterwards. So the person that actually received the condolences from the various delegations to the funeral was, in the first instance, the speaker of the Parliament. Everybody of course knew that Sadat had appointed Mubarak as vice president, and all the indications were that nobody would contest the election of Mubarak as president, that he would be the next president. It was taken for granted that the constitutional procedures would be followed. But there had to be some delay before that vote could be taken, so Mubarak was not actually president at the time. He was still vice president at the time of the funeral though he clearly was prepared to be leader of the country. So the delegations called on the speaker of the Parliament first, and then they called on Mubarak. In any case, the funeral went off without incident. It was very tight security. Remember, among the heads of government who came to the funeral was Menachem Begin, the prime minister of Israel, with an Israeli delegation. It was a typical Moslem funeral. Everybody marched, walked in the cortege behind the casket. It took the same route, incidentally, exactly the same route as the military parade had taken, right past the stands where Sadat was assassinated, where the ladies, who were not taking part in the Moslem funeral, were sitting. It is just the men who march. The ladies, Mrs. Sadat and friends of the family and other ladies including Betty, my wife along with Mrs. Mubarak, who would be the new First Lady, were all sitting in the stands where the president had been sitting when he was assassinated. The reason for this route was that the burial was to be in a mausoleum right next to the tomb of the unknown soldier, which was right across the street from the military reviewing stand. That’s where Sadat is interred. It was a very simple ceremony. There was a receiving line, and there was a certain amount of chaos. Everyone was trying to pay condolences to Mrs. Sadat. Her family were all there. There was one little footnote, which was rather interesting, because we had two senior ladies in our delegation: Jeane Kirkpatrick and Lee Annenberg, ambassador to the UN, with cabinet rank, and the chief of protocol. And the question was raised: Shouldn’t they be marching in the procession with the rest of the members of the delegation? All the rest of them were men. And it fell to me, as part of the briefing, to deal with this. And I had to say that I think that really we should follow Moslem customs, follow the customs of the country. The ladies accepted this, although there was a certain amount of discomfort about it. I remember Jeane Kirkpatrick saying “Well, if I see any other ladies in this parade, I’m going to be very unhappy.” As it turned out, one of the senior members of the French delegation insisted that his wife walk with him in the funeral parade. That caused a little bit of unhappiness, but I still think we were right in following local custom in this. There was a dinner that evening for all members of the American delegation and the American Embassy at the hotel where the American delegation was staying; with three presidents, each making remarks. It was interesting, because each took a very different tack. Nixon spoke first as the senior ex-president. And he spoke in terms of the man with the most experience who had been in the House, who had been in the Senate, who had been vice president, who had been president, how he had been through all of these things before. He took the high road as the sort of world statesman in his remarks. But he was the only one of them who paid a tribute to the embassy personnel and the men and women of the Foreign Service for their role in all of this. Gerry Ford gave the most low-key of all of the presidential remarks, rather general, but recalling his own association with Sadat and his part in the peace process. Probably the most personal, recalling his special relationship, were Jimmy Carter’s remarks. 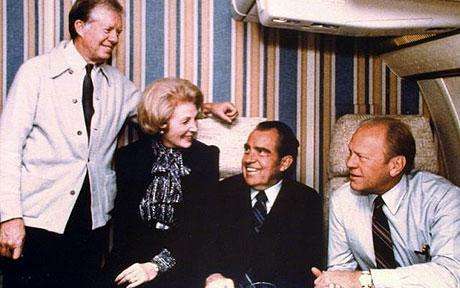 His were very personal, about his relationship with Sadat, the relationship between the Carter and the Sadat families. It was not a gay occasion, but it was a relaxed occasion, and the presidents all agreed to have their pictures taken, endless photo opportunities. They had their pictures taken with various members of the staff, all of them delighted to have pictures taken of themselves with the presidents. And, of course, [their visit] involved, in addition to calls on the vice president, calls on Mrs. Sadat. And that was a rather emotional experience, especially for Henry Kissinger. He got all choked up in trying to make his remarks, because she was there with the children, and he had gotten to know her and the kids pretty well during the shuttles. And it was a very personal experience, and he clearly was deeply touched. The Carters had the same experience. Mrs. Carter was the only spouse of the senior people in the delegation. After the main parties had left, the secretary stayed behind for some more substantive consultations with Mubarak about the future. And the main thrust was concerned that this was going to begin a period of instability, and what could we do to help stabilize Mubarak’s regime and ensure that the peace process continued as it had under Sadat. [Mubarak] was very interested, we had very close consultations on this with the Egyptians, to reinforce their declared intention that the government would not change course and would remain committed to Sadat’s commitment to peace with Israel, the treaty, Camp David Accords, and a strong Israeli-US relationship. But there were nuances of difference. Mubarak was much less strident in his rhetoric about the other Arabs. 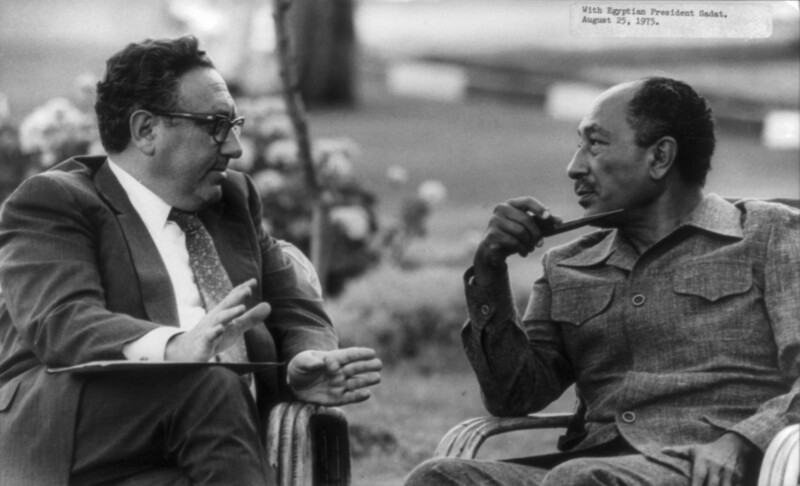 He began to signal that he was interested in trying to repair Egypt’s relations with the Arab world, which Sadat had not paid much attention to, and in fact he had taken a sort of pride in antagonizing the Arabs when they objected to his making peace with Israel. So Mubarak said he was prepared to make up with the Arabs but not at the expense of peace with Israel. They would have to accept Egypt as it was. While he would like Egypt to rejoin the Arab world, it was up to the other Arabs to take the initiative.